Casey Dellacqua labelled her time in Cairns as a “near perfect week” by taking out the Cairns Tennis International . She took the final in straight sets over Poland’s Sandra Zaniewska (6-4, 7-6) at the Cairns International Tennis Centre. “Coming back these tournaments are crucial for me, but also for everyone trying to make the top 100,” Dellacqua said. “I came here wanting matches and I got five singles matches this week and to be honest probably played a little bit better than I expected. Sandra played really well so it was a bit of a challenge.”Hopefully, I won’t be back because I’ll be in the top 100 and playing bigger tournaments, but if I happen to be back I’ll be sure to enjoy my time here again,” she said. “I’ve a much perfect week here, it’s my first time to Cairns and I’ve loved it,” she said. “Every restaurant we’ve been to, or every place we’ve been, everyone has just been so friendly. “Honestly, I have had a fantastic week and I wish every week was like this with nice weather, nice hotel, nice pool to swim in. It’s been an absolutely fantastic week. James Lemke scored a victory against Ben Mitchell in the final of the Cairns Tennis International . The 23-year-old from Melbourne won 6-1 4-6 6-3. The Far North Queensland Road Racing Club in conjunction with Stay Upright Motorcycle Techniques held the second and final round of the 2011 Queensland Supermoto Championships at the Mako Trac International Raceway on the 6th and 7th of August. Supermoto racing is a hybrid of motocross and roadracing with riders competing on motocross and enduro bikes with 17 inch road race tyres on both dirt, including jumps, and tarmac sections of the track. The first round of the titles was held at Carnell Raceway Stanthorpe on March 11 and 12. Over 500 spectators passed through the gates over the 2 days of the event to see some spectacular riding displays from competitors, with riders sliding the back wheel of the bikes through turn 1 at over 100km/hr. A few passing showers on both days made conditions a bit slippery particularly where the tarmac and dirt sections joined. Trophies were awarded in 4 classes on the day S1 for highly modified bikes over 450cc, S2 for bikes up to 450cc, S3 for bikes up to 250cc and Veterans. which don’t have a capacity limit, just riders having to be over the age of 35. Trophies in all classes for the Queensland titles will be awarded at the Motorcycling Queensland Annual Awards night in Brisbane in December. August 6 & 7 marks Round 2 of the Stay Upright Queensland Supermoto Titles held at Mareeba’s Mako Track. The Far North Queensland Road Racing Club will host the round on a extended dirt section built for this round,The mako track is 1305m track and a 275m dirt section,the dirt section was designed by local rider Justin Schuberg and Townsville rider Ross Taylor. The is a great event for the FNQ Road Racing Club with some of the best Supermoto riders in the country competing,including Ross Taylor,Pete Smith Tom Gardiner who are in the top three in the Australian championships in there class.This will be a awesome event with supermoto flourishing in the region. Sunday was Far Norths Road Racing clubs Johnny Moses memorial one hour enduro race. Each team must have a rider change no more than forty minutes but no less than twenty. Dave Penna forma 250 Queensland champion took an early lead in the first session,but due to a safety vehicle after a coming together with new boy Doug King and Brad wright,had other riders catch up. Some good riding by Dean edmonds saw him and NIc Niks take the title. Saturday was the Leukaemia Foundation Cairns race day at Cannon Park. Was a great day of racing but more importantly was a awesome day of fundraising, Bernie McKean did a awesome job organising and running the event. Stu Allen photography was there to cover the event as well as running a portaight statiion for revellers. In the Auction there were some amazing pieces a signed Colingwood jersey from the Grand final raised $10000 signed Eric Clapton signed guitar,Mark Webber signed shirt to name but a few. In total the foundation raised just over $73000 great Job everyone involved A huge thank you to IGA for there supporting this event. Bernie giving a great speech. The winner by two lengths. 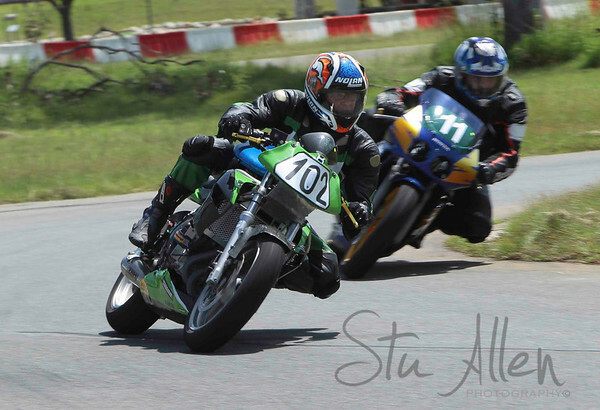 Road racing back at the Mako track in Mareeba on sunday with round one of the FNQ road racing series. Weather was scorching,was good to see some new faces,and some great racing. Retiree Greg Jentikoff had a great showing in formula 3 with three seconds and a third, While Allain King took all the wins! 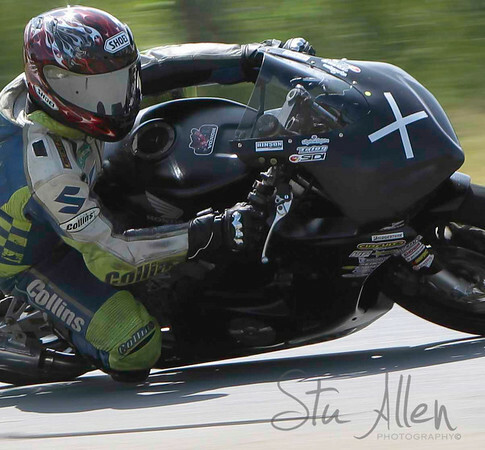 as he did in the Formula rr and new Boy Billy Smith took all the seconds in Formula rr and a win in 250 production. Billy showing some good form on his first outing.